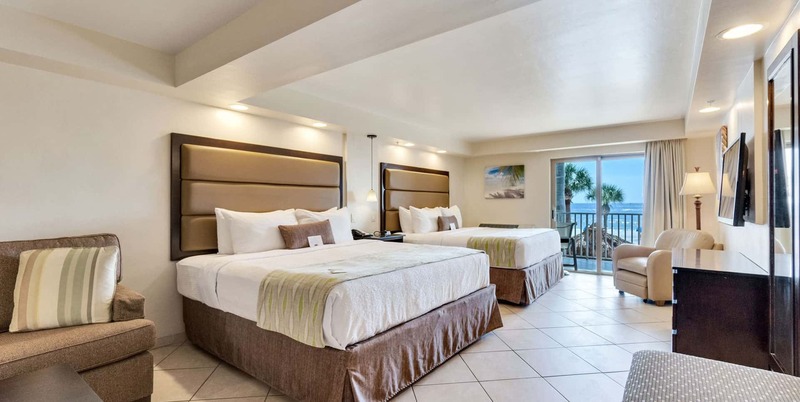 Our Best Western Plus Fort Myers Beach hotel rooms and suites are the perfect combination of comfort and style. 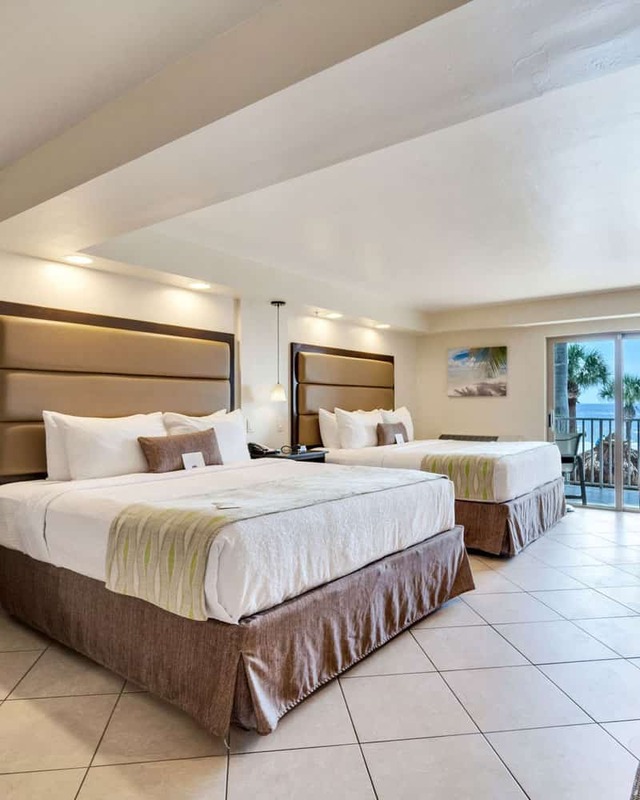 With top-notch rooms, suites and hotel amenities that will allow you to enjoy our beach hotel to the fullest, Best Western Plus Beach Resort is the ideal place to call home during your stay in Fort Myers. 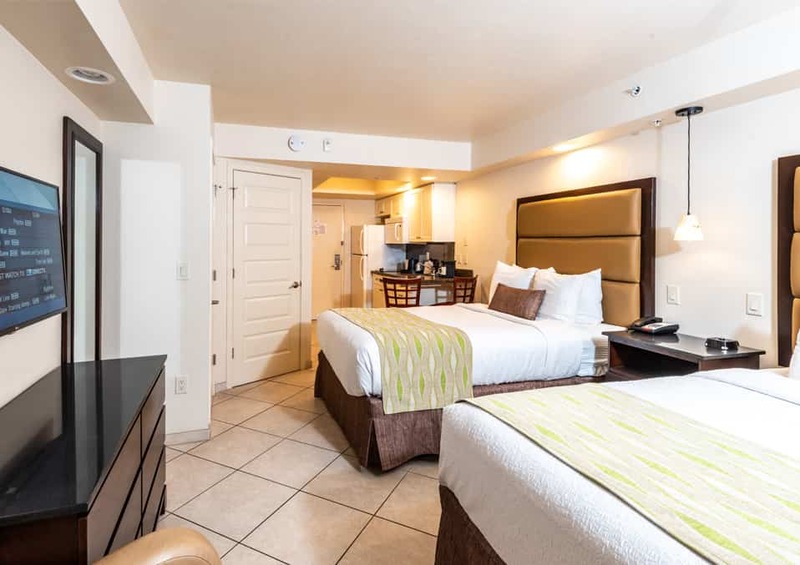 Our Fort Myers Beach hotel suites and rooms are 100% non-smoking and include rooms with two double beds, single king beds, or mini-suites with one or two separate bedrooms. 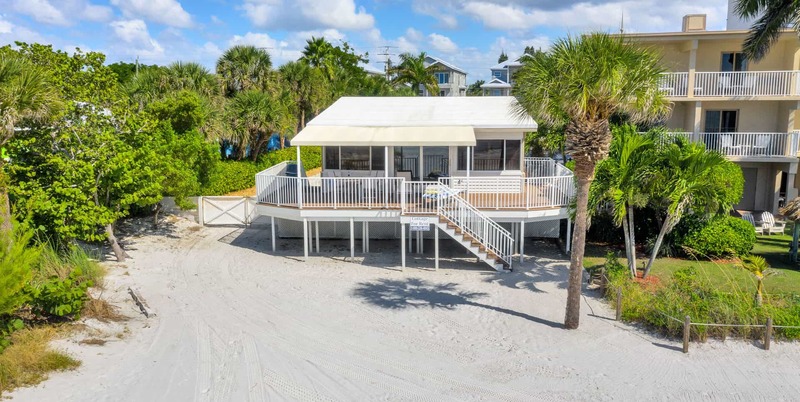 We also offer a lovely Beach Cottage option, ideal for families or visitors who are in Fort Myers for an extended stay. Along with being one of only a few two-bedroom hotels in the area, we are also a pet-friendly hotel, happily welcoming guests traveling with canine companions - please contact us for more details. Find the perfect room, suite or cottage and book online or by phone to start your beach vacation today! Our Standard Rooms are bright and airy, with waterfront views from a private balcony. They feature a full kitchen, easy chair, flat screen TV, and all the inclusive amenities guests have come to expect from a Best Western Plus hotel experience. These beach hotel rooms also offer a choice between two Double beds or one King bed. Double beds, a full kitchen, an additional sofa bed in the living area, and a private balcony overlooking the Gulf of Mexico, making them perfect for families, couples, or single travellers simply wanting more space. Best Western Plus Fort Myers is a pet-friendly hotel, so your furry friend has lots of room to roam, too. 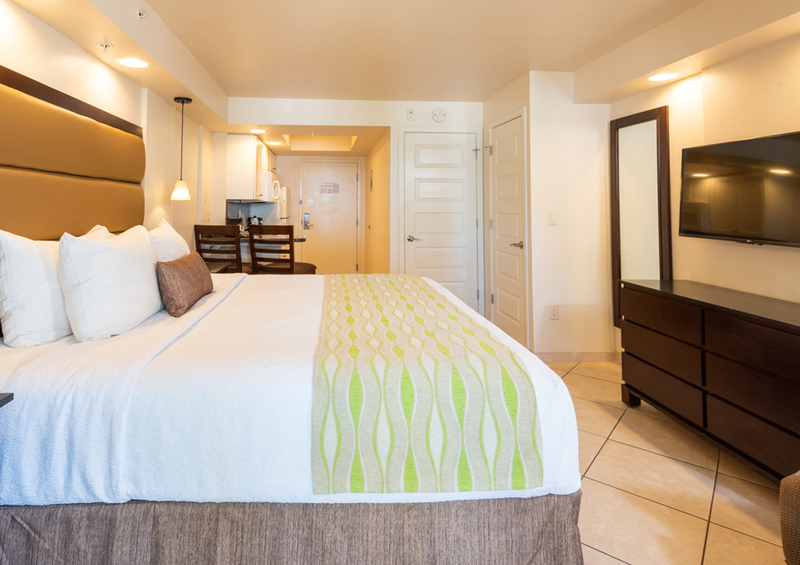 With two double beds, our Standard Efficiency Room is perfect for small groups. Enjoy comfortable and spacious accommodations alongside fantastic amenities including a full kitchen, easy chair, and refrigerator. A private balcony with a beautiful view of the water tops it all off. Enjoy the luxury of a king-size bed in our Standard Efficiency King room, ideal for couples or single travelers wanting more space to stretch. This beautifully-appointed room includes all of our inclusive standard features, like a full kitchen, private balcony with waterfront views, extra toiletries, and cable television. 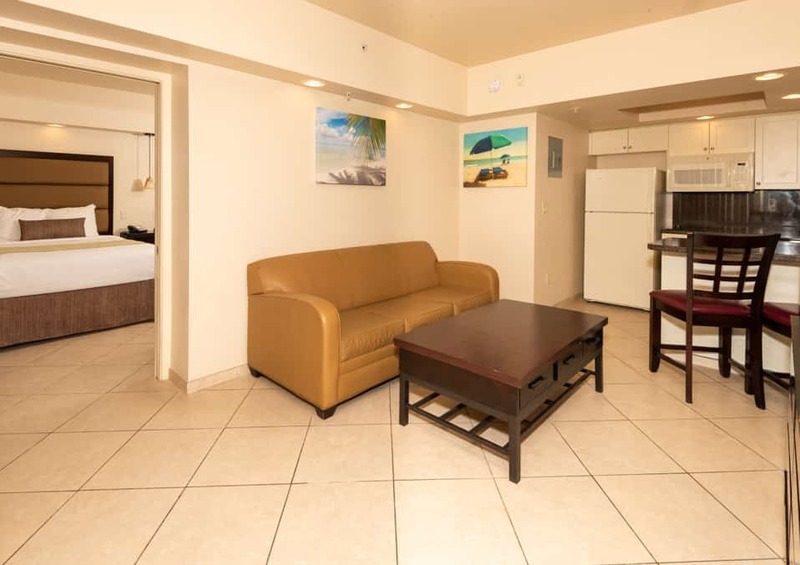 Fine amenities like a balcony overlooking the ocean, full kitchen, and two 32’’ flat screen TVs make this spacious and comfortable suite extra special. Guests will also enjoy a luxurious king-size bed, as well as a sofa bed located in the living space for additional privacy. This mini-suite is located at the ground level, which makes it easy to access and enjoy the rest of our fantastic hotel amenities. 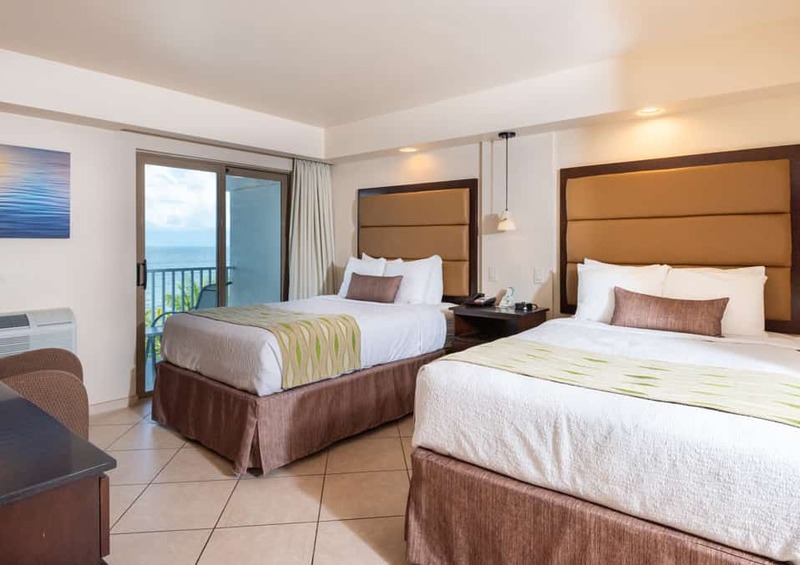 It’s perfect for families or leisure guests, and features a private balcony (so you can enjoy stunning views of the beach and ocean in peace and quiet), as well as a sofa bed, full kitchen, a flat-screen TV, and more. 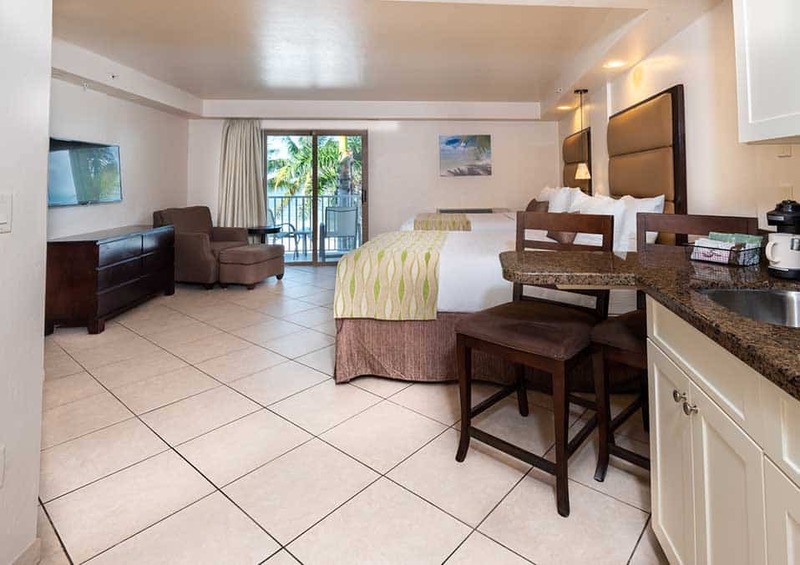 Enjoy the comfort of a plush King bed in this spacious mini-suite with a full kitchen, a private balcony with ocean views, and a variety of complimentary in-room amenities including two flat-screen TVs with HBO. 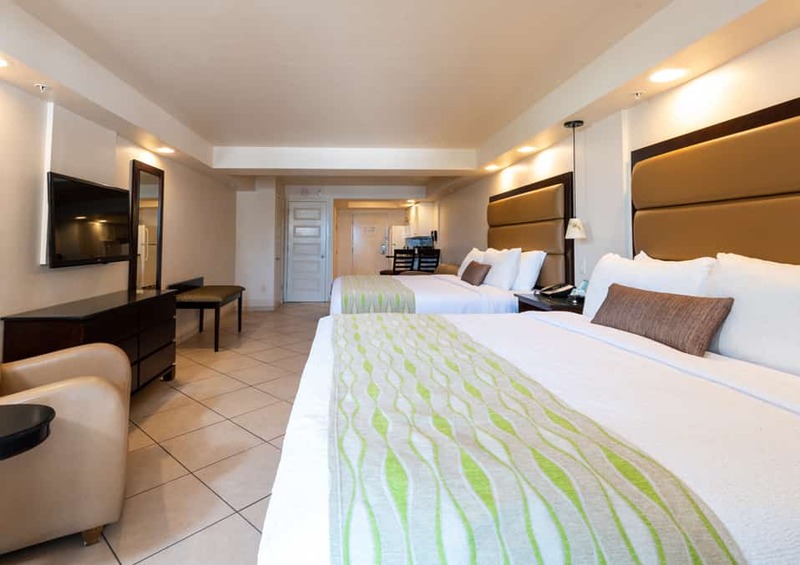 Enjoy our bright and spacious one-bedroom suites offering a separate bedroom with two Double beds, a full kitchen, two flat screen TVs with cable and HBO and a private balcony overlooking the Gulf of Mexico. In addition, our suites are well appointed with an additional Queen-sized sofa bed in the living area, and all the standard hotel amenities you know and love. Perfect for groups or large families, this hotel room with two bedrooms features two King beds and an additional sofa bed in the living area for extra guests. 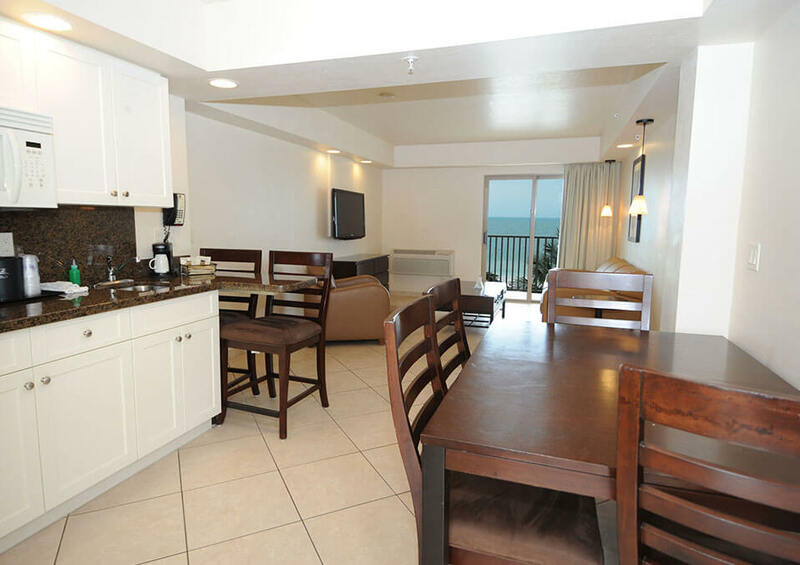 This spacious suite offers a full kitchen, a private balcony overlooking the Gulf of Mexico and all of our complimentary in-suite amenities including high-speed Wi-Fi, two flat screen TVs with cable and HBO, and more. This suite is also suitable as an accessible suite for guest with disabilities. The ideal getaway for the family or for a long-term stay in Fort Myers, our lovely Cottage Suite offers two private bedrooms, each with a Queen bed, as well as a sofa bed that can be used for additional guests. Our two-level beach cottage also features a range of impressive amenities including a full five-piece kitchen, two bathrooms, a private balcony with a spectacular ocean view, and cable television.